Update — A federal judge in New Jersey ordered the release of Pablo Villavicencio on Tuesday, July 24. He was reunited with his family. 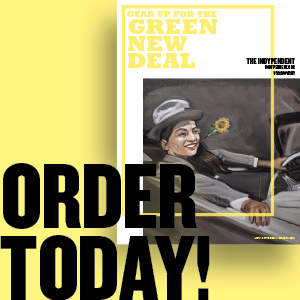 On Thursday evening, as the sun begins to set behind the Verrazano Bridge, a pizza delivery man waits outside the Fort Hamilton Army Base in Bay Ridge for someone to come out and pick up their order. He doesn’t go inside. Across the street, the rallying cry of about 30 demonstrators — “Get up, get down, immigrants built this town” — keeps a dozen police officers lingering around the base. 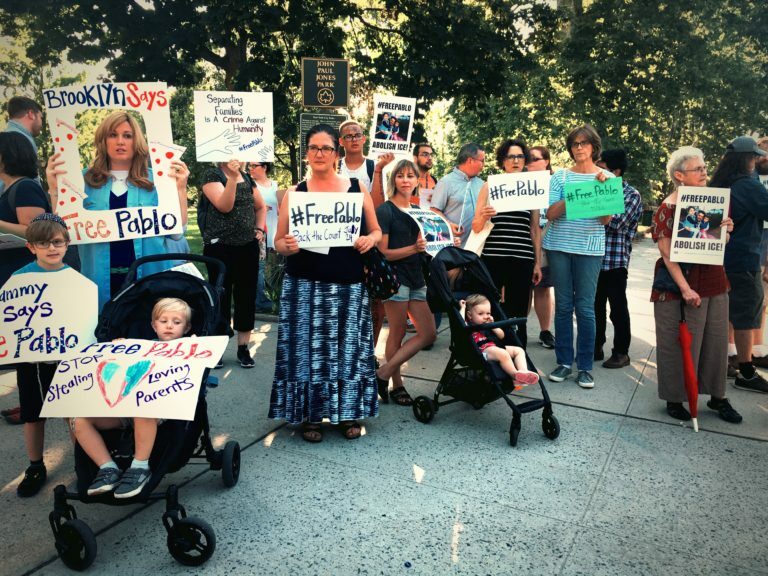 The crowd has gathered to call for the release of Pablo Villavicencio, 35, an immigrant from Ecuador, husband and father of two young girls who was arrested on June 1 when he attempted to make a bulk pizza delivery to the base. Villavicencio, who is undocumented, showed a military guard his IDNYC card when he entered the facility. When he couldn’t provide additional identification, the guard called Immigration and Customs Enforcement (ICE) which took him to the Hudson County Jail in Kearny, N.J. The arrest of Villavicencio, who had no prior criminal record since arriving in the United States in 2008, has stunned the local immigrant community and sparked a series of protests that have been attended by city officials and other supporters of Villavicencio. “Tell me how taking Pablo off the street makes our nation safer. I’m listening,” tweeted Justin Brannan, the South Brooklyn City Councilmember whose district encompasses Fort Hamilton. On June 9, a federal judge issued a temporary restraining order halting ICE’s plans to return Villavicencio to Ecuador. Villavicencio’s next court hearing is this Tuesday, July 24. His lawyers have also filed a federal lawsuit claiming that he was a victim of racial profiling and that the detention violated his constitutional rights. Villavicencio’s case has touched people beyond New York. Massa Assad, 16, traveled from her home in New Jersey to Bay Ridge to voice her support the detained pizza delivery man. A refugee from Syria’s civil war, Assaad said the ideal of America as a “sanctuary” for immigrants is eroding. 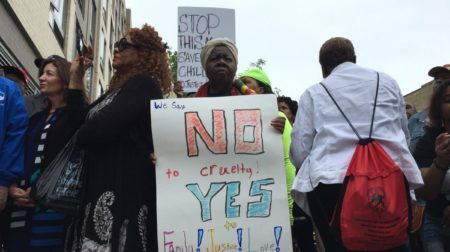 “Right now, we have a Trump administration that is targeting immigrants of color [and] that wants to deport as many of them as they can and we can’t let this stand,” Barkan said. Villavicencio’s Tuesday court hearing will be held at the U.S. Courthouse at 500 Pearl Street. His supporters will gather outside the courthouse at 9 a.m. to show their support for Villavicencio and his family. Photo: Demonstrators rally outside Fort Hamilton Army Base on July 19. Credit: Pooja Chopra.